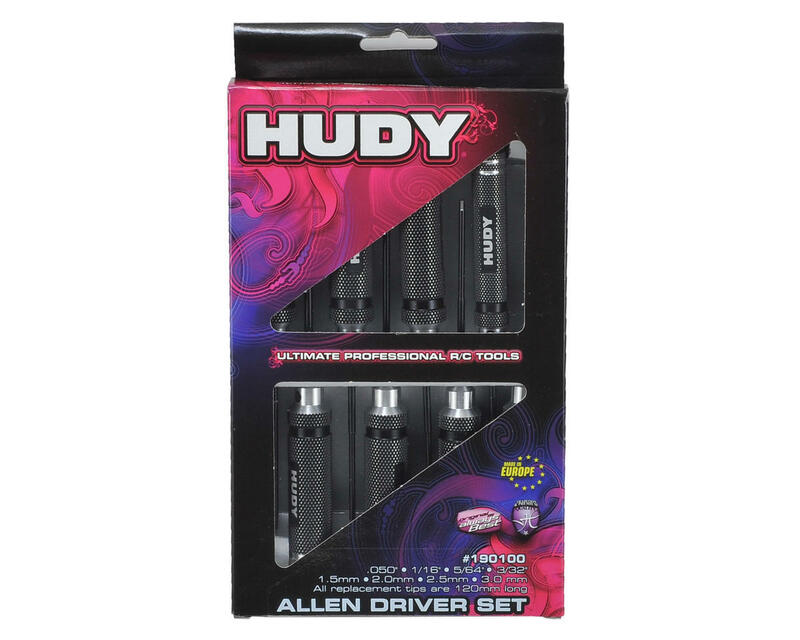 This is a set of Hudy Professional Allen drivers with four popular inch sizes and four popular metric sizes. Ultra-lightweight, ultra-durable Allen wrenches feature superb fit and finish. Hardened tips, made from world-renown Hudy Spring Steel, are precision designed for excellent fit, long life, and unbelievable torque. NOTE: Does not include end caps. Requires seven 18mm V2 caps & one 14mm V2 cap. You don't give sears enough credit. The Sears brand would wear out in 2 days not 1. Yes folks they are pricey and I too was skeptical about buying them but they are awesome!!! They are soooo light (I can't emphasize that enough, they are LIGHT! and wickedly strong!!!) I didn't purchase this kit straight up however I've been purchasing each tool as needed and won't stop until I own them all. DON'T listen to jkw he's either jealous or prefers stripping his screws or enjoys getting really cramp hands. Seriously they are just a few dollars more then the other brands but WORTH IT!!!!! Remember you get what you pay for. If you care about r/c as much as I do its worth having quality tools to work on them. I have had these drivers for 5 years and the tips are still in great condition. These drivers are the best money can buy. A sears brand driver will wear out in one day. if you see anyone using these tools, ask nicely, try them out, then save your coins and buy. The lightness of these tools means you have precise feel when tightening, which is critical when screwing into soft plastic or fine tuning. The hex are precise with very little slop. I wouldn't have thought there was much difference between hex drivers, or any driver for that matter, until I tried these gems. 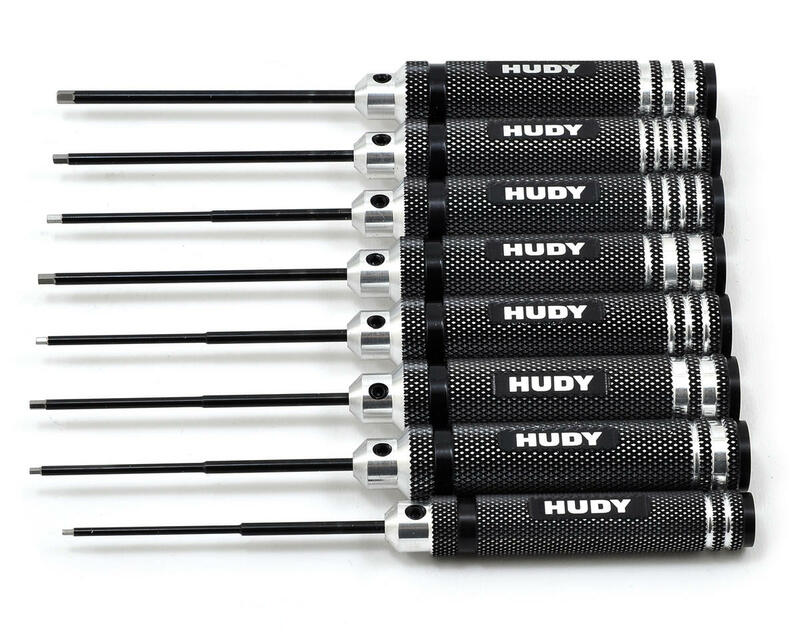 I have always wanted a set of Hudy Tools. But when I got these I was disappointed with Hudy. None the hex drivers are fitted with end plastic end caps, or etched with a size on it other than a groove??? for the price it is very expensive. when you compare them to Arrowmax Line or the Maxline tools you can do better.